Contemporary, Great Read, Red Hot Reads, Review, Simon & Schuster, Toe Curler!! 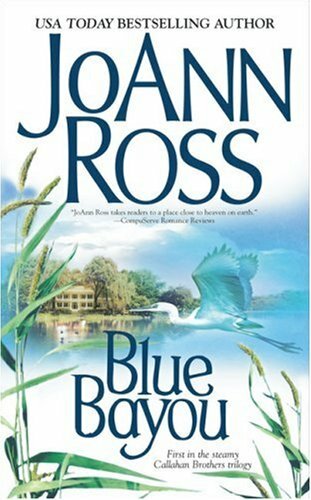 This is JoAnn Ross’s first book that I have ever tried out and I have to say I am pleasantly surprised at how good this story is. I think I picked up the “scent” of this novel in some discussion forum in Amazon and this book certainly does seem to have got its fair share of good reviews which the story certainly deserves. This is the first book in the “Callahan Brothers” series. The Callahan brothers are Finn, Jack and Nate, three of whom have individual stories of their own. I don’t think I am going to venture into the stories of Finn and Nate’s, because most of the time when a series starts off with a big bang like this one where the reader is really captivated by the story, the rest of the books in the series seem to pale in comparison and rarely gives the satisfaction that the reader craves from the series. Though I may or may not read the rest of the books in the series, I bet that its Jack’s story that has enthralled readers the most because there is a history between the hero and heroine in the novel. Danielle or Dani is the daughter of the town’s judge. Jack’s father was the town sheriff who was shot and killed whilst trying to save Judge Dupree from being killed. Ever since then Jack’s mother Marie has worked as a housekeeper and surrogate mother for the Dupree family at their home. Ever since the death of Jack’s father, Jack has always been a bit of a hell raiser which finally lands him at a sort of rehabilitative jail for youngsters. Having done his time and learnt his lesson, he returns home to find that Dani was still after him even though he had told her several times that she was too young to know what a guy like him would need and want. Pretty soon these two are hot and heavy in an affair which ends up in no good when Judge Dupree discovers the fact that Jack and Dani were having the time of their lives without his knowledge. Suddenly these two lovers are wrenched apart and by the cruel manipulation of the Judge, these two lose so much more than just the kind of love that people search for a lifetime looking, but rarely find. Its years later and Dani returns home with her son Matt, older and wiser than ever before. With her father, the judge in jail, Dani is surprised to find that Jack had also returned home and is now the owner of her previous home. Sparks start to fly between the two as soon as they meet one another. Though Jack tries to deny that he still loves Dani, it is inevitable that these star crossed lovers would eventually yield to the red hot passion that flares between them every time they are within each other’s vicinity. However, secrets from the past tends to haunt these two, until they both learn to trust one another, to forgive and let go. Beautiful love story with enchanting characters and steamy sensuality that’s sure to be a winner for any romance novel lover.